Halloween 2016 is almost in the books and my wife and I made a last minute decision to be characters from the Netflix series Stranger Things. 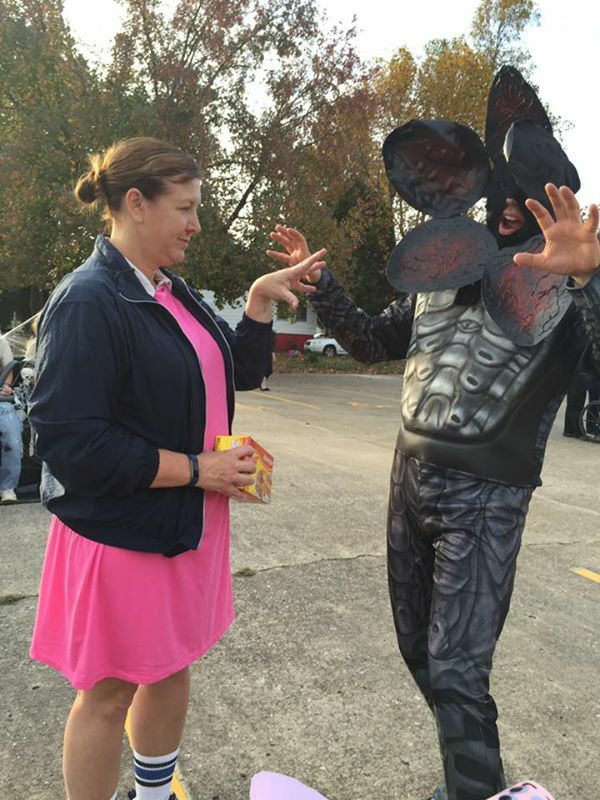 My wife was 11 and I was the monster in the show. I don't know its official name, so I'll leave it at that. Her costume was pretty easy to replicate, but I thought it would be hard to become the creature. My wife and daughter went to Good Will Saturday afternoon and found a costume from Superman that looked similar to the creature. Then a few pieces of poster board, some hot glue and red paint and the mouth of the monster was created. My wife stapled the pieces to a piece of black fabric. It was a lot of fun, but apparently, a lot of people in our community don't watch Stranger Things. Even standing together a lot of people asked what we were supposed to be. Finally, I just told them to Google Stranger Things and it'll make sense. On the other hand, my daughter and her friend were Terri with and I and Terry with a Y from Monsters University. 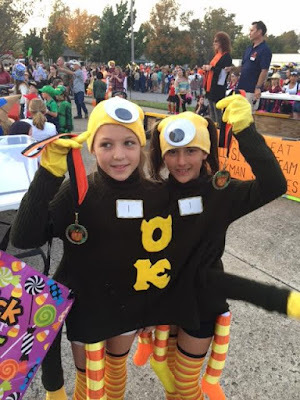 Her friend's neighbor constructed the costume. For their efforts, the girls won the prize for Funniest Costume in their age group in our town's annual contest. 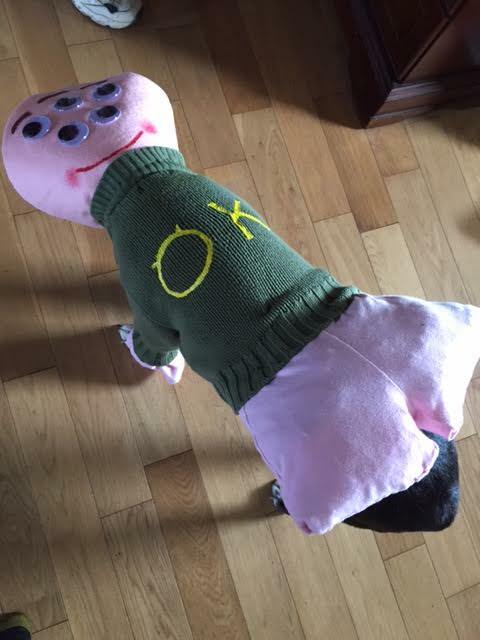 Even the dog cooperated this year with her Squishy costume, also hand made by my wife. 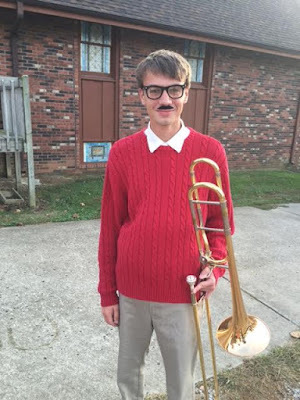 Our oldest son dressed like Ken Bone. Since he's in the high school marching band which is a part of the evening's events many dress up too. I dubbed him Ken Trombone for obvious reasons. I love Halloween and dressing up each year is something I look forward to. I know it won't be long before all the kids have outgrown the tradition, but for now, I'll just keep enjoying the holiday.